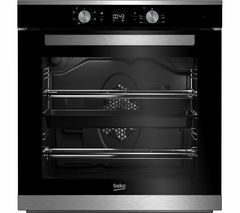 Nothing beats sitting down to a home cooked meal with your family, so why not treat yourself to a new oven? 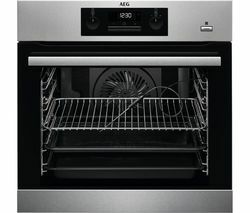 Our complete range of electric, gas and hybrid ovens come in a variety of sizes and styles that will suit any kitchen. 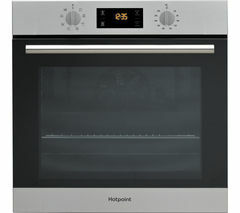 If you fancy yourself as a celebrity chef in the making, why not install a state-of the-art oven that will fuel your creativity and inspire your next culinary creation? All our ovens are designed to be easy to use, durable and reliable, plus they all come with features that make cooking even easier, whether you’re reheating leftovers or rustling up a huge roast dinner. If you want to cut down on the time you spend in the kitchen, our gas hobs heat up instantly so there’s no waiting around. But if you want the best of both worlds, try a hybrid oven with a gas hob and an electric fan oven that provides an even heat to cook your food perfectly, every time. If you have a fitted kitchen check out our range of built-in single ovens, and if you’re looking for a high-end oven to go with your other high-end appliances, take a look at the range of Bosch ovens. 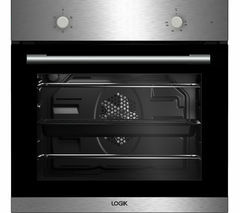 Whether you’re looking for a state-of-the-art oven or something smaller, you’ll find something for your kitchen when you browse our complete range of ovens.